Former banker and now energy analyst Parker Gallant has prepared a summary of submissions to the Ontario Ministry of Energy, which last fall asked for input to a new Long-Term Energy Plan (LTEP). Aside from the vested interests in wind power, the stakeholder groups like the Canadian Federation of Independent Business, Canadian Manufacturers and Exporters, and the Ontario Society of Professional Engineers all recommended the government act now to get costs down. And that includes, getting rid of wind power. From the article, an excerpt on two of the submissions made to the government. The provincial government would have us believe it is taking steps to manage rapidly rising electricity costs. Meanwhile, in the background, they are pushing 55 wind turbine projects through the Renewable Energy Approval process, projects that will add $1.1 billion per year to Ontario’s electricity costs. The impact of these turbine projects is 20 times the cost of the gas plant relocations. The 230-megawatt (MW) Niagara Region Wind Project proposed for West Lincoln and Wainfleet in the Niagara Region alone will add $78 million annually to Ontario’s electricity costs when approved. The cost over its 20-year contract is $1.6 Billion. Rather than declining or delaying these 55 projects, the provincial government continues to issue approvals and increasing electricity costs to levels that Ontario household and business users cannot afford. In fact, wind power projects continue to be approved almost weekly despite Ontario’s current surplus of electricity. Some operators of existing wind power generation facilities are actually being paid not to produce electricity, and neighbouring jurisdictions like New York and Michigan are being paid to take Ontario’s surplus power, which they in turn use to attract jobs away from Ontario with cheap electricity. To create capacity on the grid for the expensive power generated by wind turbines, Ontario is also idling the Niagara hydro plants which in the past have powered Ontario’s economy by supplying cheap clean electricity. The truth is that wind is not a reliable source of electric power. In Ontario, wind turbines generate most of their electricity at night, and in the fall and winter months—exactly when we don’t need it. To provide the electricity needed by the province during the day, and in the hot summers, Ontario has had to supplement wind turbines with gas plants to provide electricity when the wind is not blowing. This means that the average Ontario electricity user will not only pay about $220 annually for the cost of the wind turbine contracts but also another $200 annually to pay for the base costs of the gas plants needed to back them up. Ontario electricity ratepayers could do a lot with that $420. While the government argues that it has no option but to proceed with these projects, Ontario court have confirmed that the Feed-in-Tariff contracts issued for these projects only allow the proponent to enter a “complex regulatory process that might have led to approvals” and that the Environmental Project Act gives the Ministry of the Environment Director “broad powers to issue, reject, or amend Renewable Energy Approvals.” The known impacts of existing wind power projects on communities in rural Ontario give the Ministry of the Environment Director a basis for rejecting or delaying these projects. The Ontario government is pursuing wind power without a proper cost-benefit analysis, as was pointed out by the Auditor-General in 2011; no analysis was done before launching into the wind power program, or since. Citing benefits to the environment, is not an appropriate rationale: with the coal plants closed, there is no need for concern about pollution from them, and there are also valid concerns about environmental damage and harm to wildlife from wind power plants. For example, the government’s own Environmental Review Tribunal revoked approval to construct the Ostrander Point project last July because the project would cause “serious and irreversible harm” to the endangered Blanding’s turtles native to the area. Rather than accepting that decision, however, the Ministry of the Environment partnered with the wind industry in January to appeal this ruling in the Ontario Superior Court of Justice in Toronto; the Ministry is trying to overturn the decision to protect the turtles. Similarly, the Ministry continues to support the Wainfleet Wind Energy project, despite the obvious dangers presented to users of the nearby Skydive Burnaby facility. Electricity costs in Ontario are now among the highest in North America. 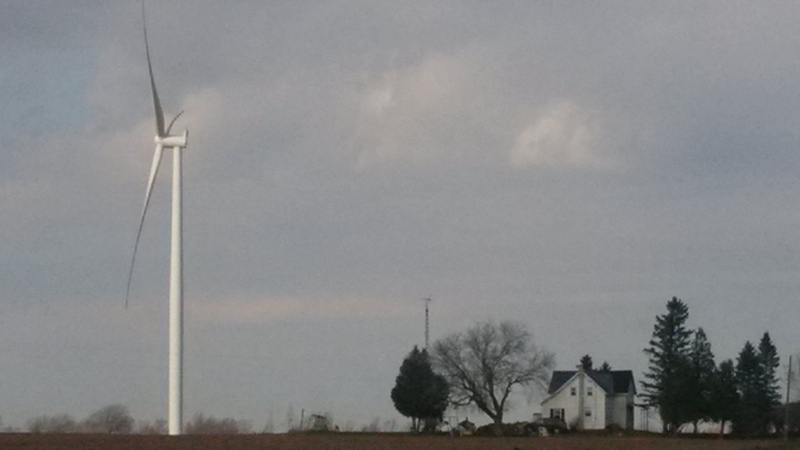 Ontario households and businesses have reached the limit of their capacity to pay for this Green Energy experiment. It is time for the Ontario government to stop approving more wind turbine projects, like the Niagara Region Wind Project, that will drive up the cost of electricity in the province for the next 20 years while generating electricity we do not need. Parker Gallant is a former vice-president with the TD Bank, a former director with Energy Probe, and currently an energy analyst and commentator. He is vice-president of Wind Concerns Ontario. You’ve read Bob Lyman, an economist specializing in energy issues, on these pages before. In his latest work, he has written an overview of the last 10 years of energy policy as it relates to electricity in Ontario, and come up with the very worrying conclusion: the whole thing has been grossly mismanaged. The question now is, can Ontario ever get out of this hole? That’s tough when Ontario keeps approving big, expensive wind power projects on the order of one a week this summer, despite not having a current long-term energy plan. This article is of great importance for Ontario residents who want to understand what has been happening to electricity supply, demand and prices over the past decade and, perhaps more importantly, how they should weigh these developments as they contemplate forthcoming elections in the province. 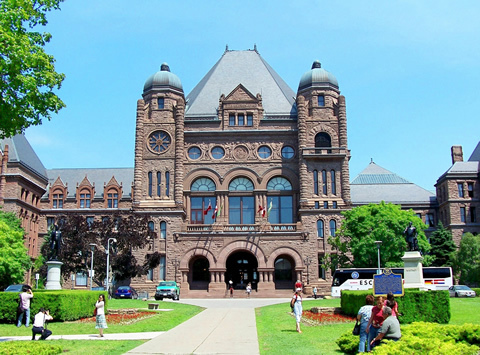 Shortly, there will be five by-elections in different parts of Ontario that may swing the balance of power in the legislature. It is also likely that there will be a general election in Ontario within the next two years. Upcoming topics: what does the situation at Chatham-Kent airport (where 8 turbines have been order removed) really mean?